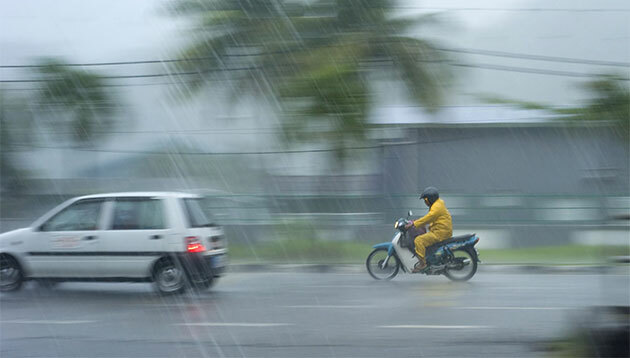 According to Bernama, the Malaysian Meteorological Department (MET) warned members of the public of heavy rain, possible flash floods and strong winds during the monsoon transition period which began this week. MET said in a statement that the monsoon transitional phase would continue until mid-May. “The normal weather during this period is heavy rainfall, thunderstorms, strong winds especially in the afternoon and early in the night,” it added. Areas that will be affected more severely include the coastal areas of the east coast states and the interior of Peninsular Malaysia, Sabah west coast and the western and central areas of Sarawak. Additionally, east coast states include Kelantan, Pahang and Terengganu. It said that thunderstorms together with heavy rain and strong wind could lead to flash floods and destruction of weak structures.